This custom home in Montgomery Ranch was designed and built to please a discerning buyer starting with 2x6 frame construction, an oversized 3 car garage, water softener, recirculating hot water pump, grand portico entry, vaulted ceilings, an open floor plan and transom windows that flood the rooms with natural light. The home is beautifully appointed with brushed nickel fixtures, ceiling fans, recently installed porcelain plank tile flooring throughout and a granite faced fireplace. The kitchen was remodeled in 2013 to include granite countertops, mosaic backsplash and stainless-steel appliances. There is a large walk-in pantry and laundry room. All three bedrooms are generously sized, the master suite is 17' x 18' with french doors, a walk-in closet, a Jacuzzi tub and separate shower. Both bathrooms are equipped with double sinks. 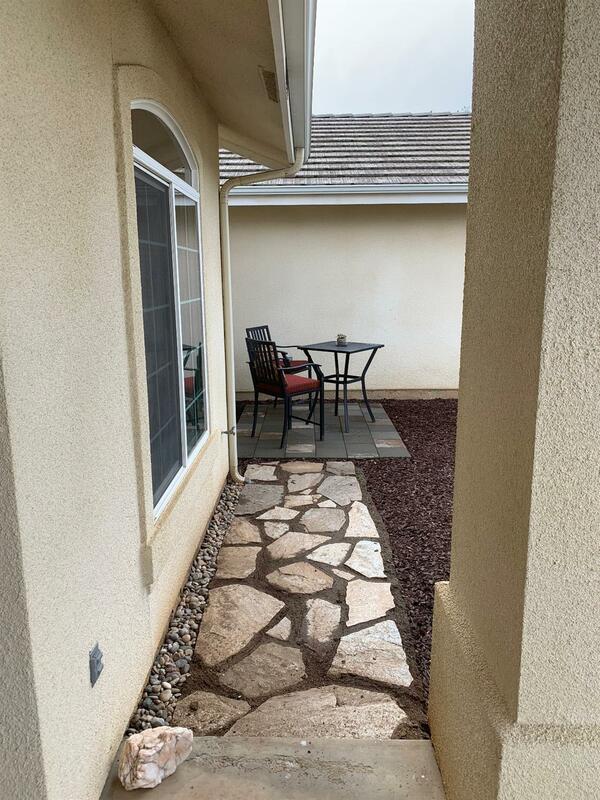 Enjoy views of the Sierras from the breakfast nook or on the back patio. 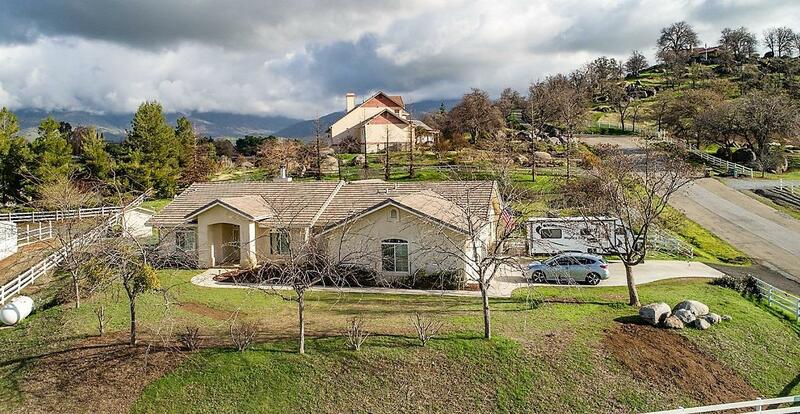 Nearby attractions include Lake Success and Sequoia National Forest. Listing provided courtesy of Gail Woods of Cf Smith Realty.